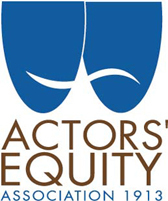 Actors’ Equity Association, the labor union representing more than 51,000 actors and stage managers in the professional theatre throughout the United States is seeking a highly experienced person to serve as Central Regional Director (CRD). Working in the Central Regional Office in Chicago, and reporting directly to the Executive Director, this position is responsible for the operations and management of the Centrtal Office and overseeing supervision of Central Regional staff. The CRD is also responsible for maintaining positive relationships with Equity’s elected leadership, membership at large, and Equity bargaining partners. As part of the Executive Team, the CRD will work to develop and implement the administrative vision which integrates key national and regional goals. Serve as lead negotiator and/or supervise negotiation of all Central Region collectively bargained agreements and participate in national negotiations as assigned. Oversee the administration of all collectively bargained agreements for the Central Region. 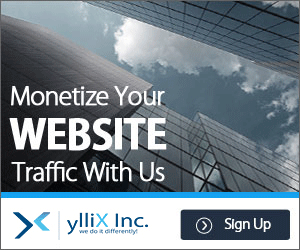 Continuously analyze best practices for efficient and effective management of agreements. Responsible for the efficient administration of the Central Regional office, its staff, and its financial affairs, reporting to the Executive Director, and working in consultation with the Assistant Executive Director for Finance and Administration with respect to overall national administrative and financial matters. In consultation with the Executive Director and the Assistant Executive Director for Finance and Administration, participate in the budgeting process and provide oversight for activities relevant to the Central Region. Serve as direct supervisor to senior management in the Central Region. Comply with, support and enforce all policies established by Council, Equity’s national elected leadership. Serve as staff representative to the Central Regional Board. In addition to regular, ongoing communication, provide a Central Region annual report to the Executive Director. Develop networks of external stakeholders, e.g. local and state labor federations, entertainment industry labor groups, and producers. Build relationships with internal stakeholders including elected leadership, and members at large. Serve as an Equity spokesperson on Central Regional matters in coordination with the Communications Department and the National Office. Actors’ Equity Association is committed to creating a diverse& inclusive environment and is proud to be an equal employment opportunity employer. We are committed to equal employment opportunity in the workplace regardless of age, gender and gender identity, race/ethnicity, disability, religion, national origin, sexual orientation or veteran status.